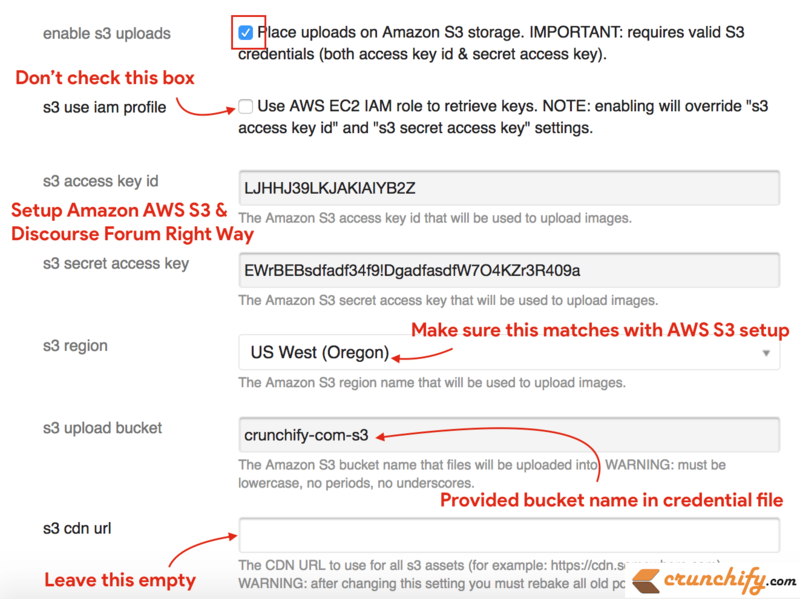 Yesterday I setup automatic file upload and backup upload to Amazon AWS S3. During setup I faced number of issues. Current documentation on Discourse Meta site is not up-to-date. It’s with old setup steps and user may easily get confused with new updated AWS console UI changes. This got resolved by unchecking box for use iam profile (check diagram below). This got resolved by correcting bucket name. Make sure to provide same bucket name for backup folder too (check diagram below). 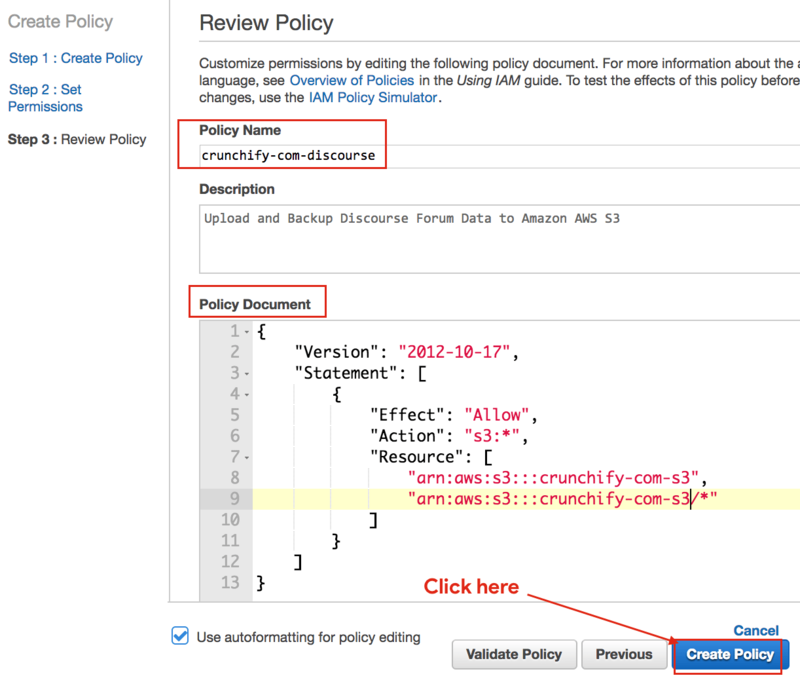 This tutorial will help you setup Amazon S3 right way for your Discourse Forum including if you have any of below questions. NOTE: Please make sure to change bucket name from crunchify-com-s3 to your own preferred name. And you should be all set. You are done with your setup. Take a break if you need as we need to test and debug our setup next. Try uploading new image to your post and you should see it should be updated to your AWS S3.